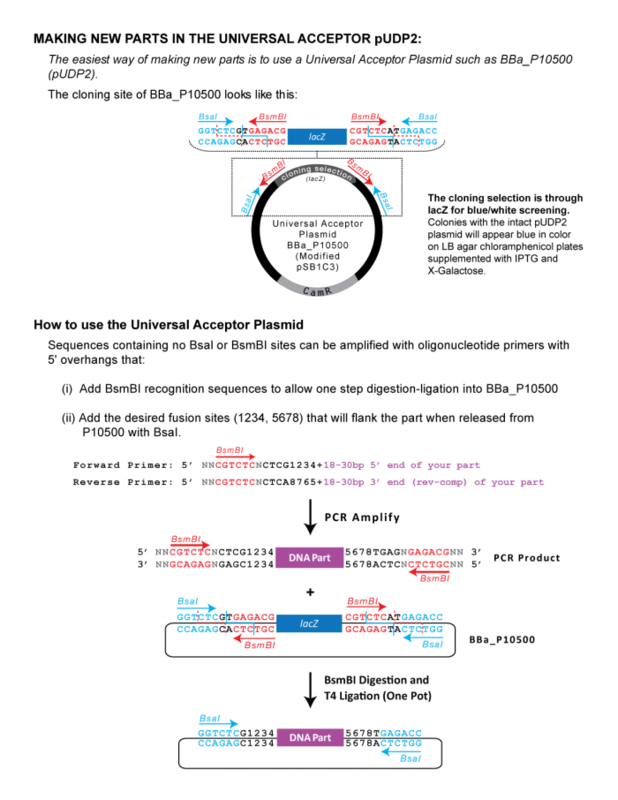 This is the universal acceptor plasmid for creating new PhytoBricks parts. It contains the lacZ-alpha fragment in the cloning site for blue-white screening through the use of IPTG and X-Gal on the agar plates. This sequence is contained within the BioBricks vector pSB1C3. Here, we present the improvement of an iGEM-part for easier and cheaper selection which suits our needs. iGEM provides the universal acceptor plasmid BBa_P10500 for creating new PhytoBricks. This plasmid contained the lacZ-α part in the cloning sites for blue-white screening. As we wanted to establish Vibrio natriegens as a chassis for cloning, we investigated if the wild type strain is compatible with blue-white screening. Unfortunately, cloning using BBa_P10500 in V. natriegens shows no difference between colonies containing the lacZ-α dropout and those without. To overcome this limitation and to enable fast and reliable cloning with V. natriegens, we decided to establish a new visualization method. 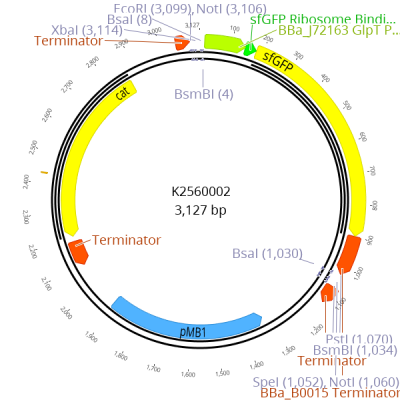 Our improved part, namely BBa_K2560002, is a derivative of the iGEM BBa_P10500 containing a sfGFP dropout as fluorescent selection marker.